Equipped with one of the world’s most advanced mechanical movement, the Seamaster Aqua Terra 150M Master Co-Axial is stylish, sporty and prepared for an active lifestyle. 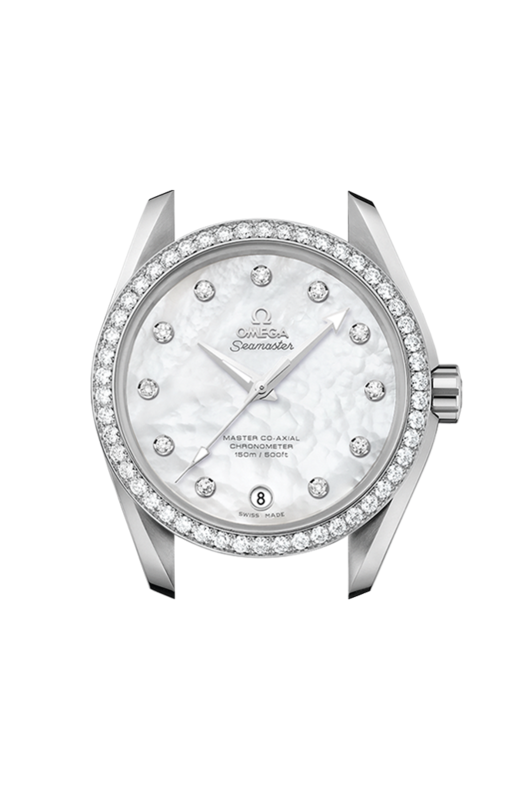 This luxurious model features a pearled white mother-of-pearl dial with 11 diamond indexes and a date window at 6 o'clock. 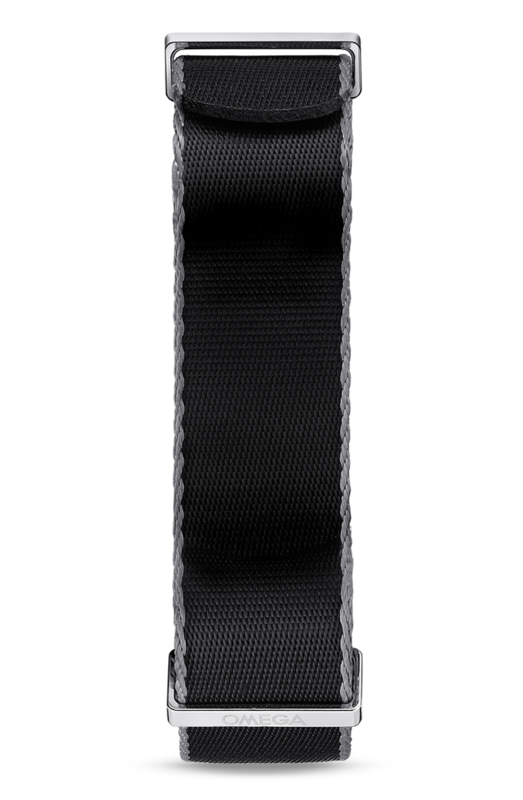 This 38.5 mm stainless steel ladies' wristwatch, with its diamond-set bezel, is presented on a white leather strap. 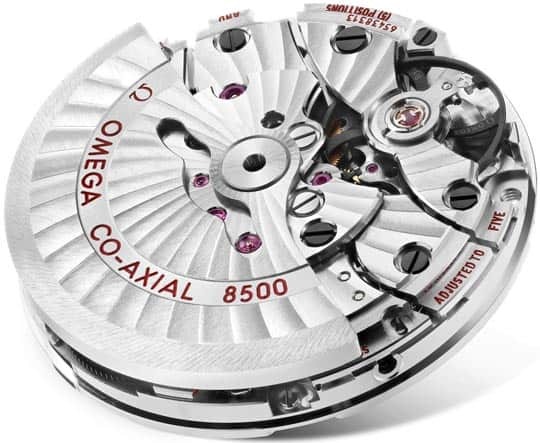 At its heart is the revolutionary OMEGA Master Co-Axial calibre 8500, a movement that can resist magnetic fields greater than 15,000 gauss.